New Delhi: The ASEAN India Music Festival concluded its first edition on Sunday with a spectacular grand finale performed by Shankar Ehsaan Loy. The three-day music festival organized by Ministry of External Affairs(GOI) and Sehar witnessed thousands of Delhiites at Purana Qila enjoying the tunes of bands from 11 ASEAN member countries. Top 15 bands from 11 nations performed together to celebrate the 25th anniversary of ASEAN-India Dialogue Relations. This celebration has given an opportunity to all the ASEAN member states to come together and show their talent in Delhi. 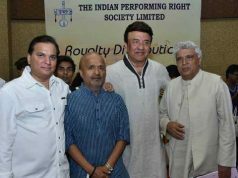 The three-day music extravaganza witnessed performances by leading Indian artist like Papon Live, Avial and Shankar Ehsaan Loy and International bands such as Tim de Cotta (Singapore), L’alphalpha (Indonesia), Red Bamboo (Vietnam) along with many more. 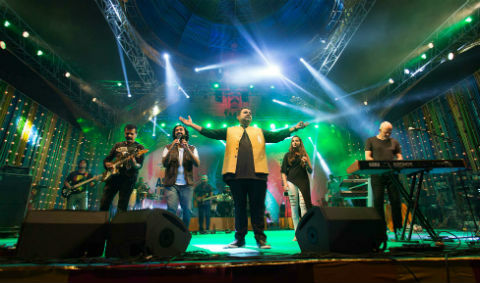 The first edition of the ASEAN India Music Festival saw the finale performance by Shankar Ehsaan Loy. The first edition of the ASEAN India Music Festival enthralled the Delhi audiences with a weekend full of amazing memories that will last a lifetime. A two-day Jaipur edition of the festival will begin from 9th October.